*Race Day Information for those that have registered can be found here. In partnership with the Boulder Road Runners, T.E.A.M is pleased to produce a Thanksgiving Day fun run event for Boulder at Flatiron Park! Whether you are young or old, fast or slow, the Boulder Thanksgiving Day event is about celebrating family and friends and the many aspects in our community that we can be thankful for. It is also a time to think about those who are less fortunate and in keeping with traditions, this event will be supporting Boulder's Harvest of Hope Pantry with a donation from race proceeds. We are also asking all participants to kindly donate non-perishable packaged and canned foods on the morning of the event which we will pass on. In 1983, the CU Turkey Trot started out as an intramural event put on by the founder of the Boulder Road Runners, Rich Castro. The event became public in the early 90’s, and by around 1995, the Boulder race had over 1000 finishers and the event became a regular for many Boulderites and their families until 2015, which was the last year that the race was held. The event has donated over $100,000 for Community Food Share as well as many thousands of pounds of canned goods. 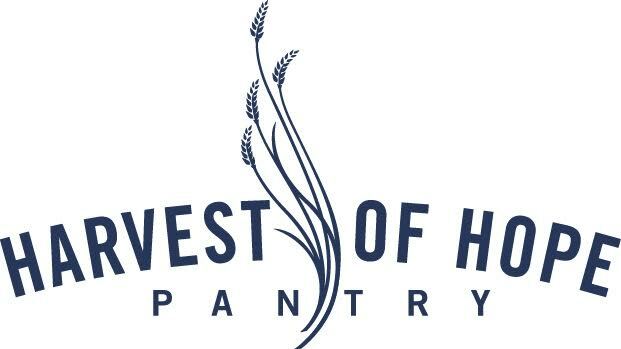 Harvest of Hope Pantry is the only food pantry in Boulder that serves everyone who comes to their door. By offering separate shopping times for Clients with Kitchens and Clients without Kitchens, they address the individual needs of both populations. For their Clients without Kitchens, the pantry ensures that their shopping experience allows them to leave with a daily amount of supplemental food to fill the gap that other services are unable to offer. Providing easy-to-eat foods, such as protein bars, pop-top canned items, yogurt, produce and fresh sandwiches, gives clients easy-to-transport foods. The Boulder Thanksgiving Day 5K, is also a chance for us to acknowledge the many contributions that volunteers make in our local community. Each year, we will be recognizing one outstanding volunteer for their services to the community by having them featured on the participants finishers medallion, and for 2019, the volunteer who we will be celebrating is ? So, come along with family and friends and enjoy our new fun run location in Flatiron Park, Boulder, and celebrate the spirit of Thanksgiving. Can't run in the event, but you would like to be involved with the event as a volunteer? You can register here. *The 5K will serve as a qualifying race for the Bolder Boulder 10K on May 25th. Registration will open 7/1/2019 for the Boulder Thanksgiving Day 5K. Registrations closed Wednesday November 27th at 12:00pm MST, and there are NO race day entries. Cost includes electronic timing, a medallion and a T-Shirt with our awesome Boulder Thanksgiving Day logo on it! Boulder Thanksgiving Day 5K - Bolder Boulder Office, 5500 Central Ave, Boulder, CO 80301. Please find results for the 2018 Boulder Thanksgiving Day Race here.